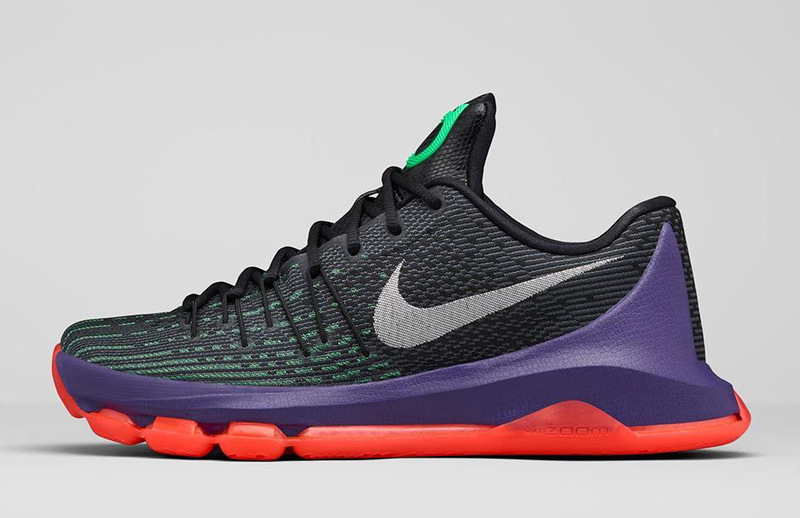 Nike is rolling out yet another Nike KD 8 colorway. 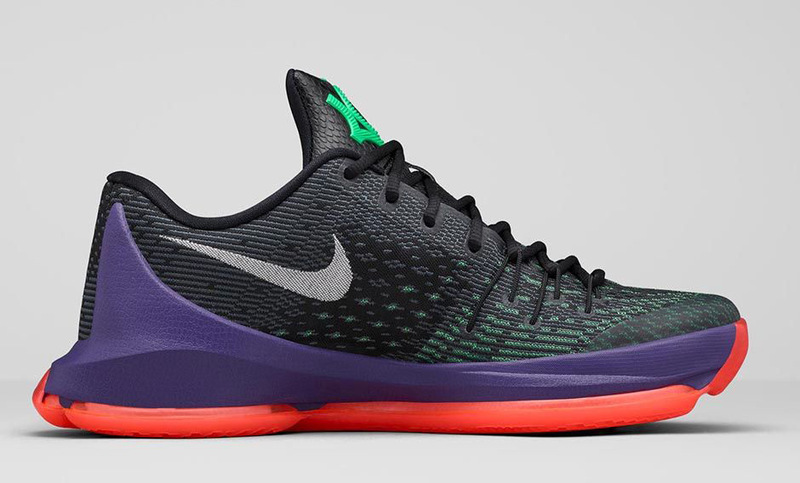 This particular colorway pays homage to Durant’s favorite players as a child – Vince Carter and Larry Bird. The name of this colorway comes from the combination of the first names of Vince + Larry which is equal to “Vinary” according to Nike. 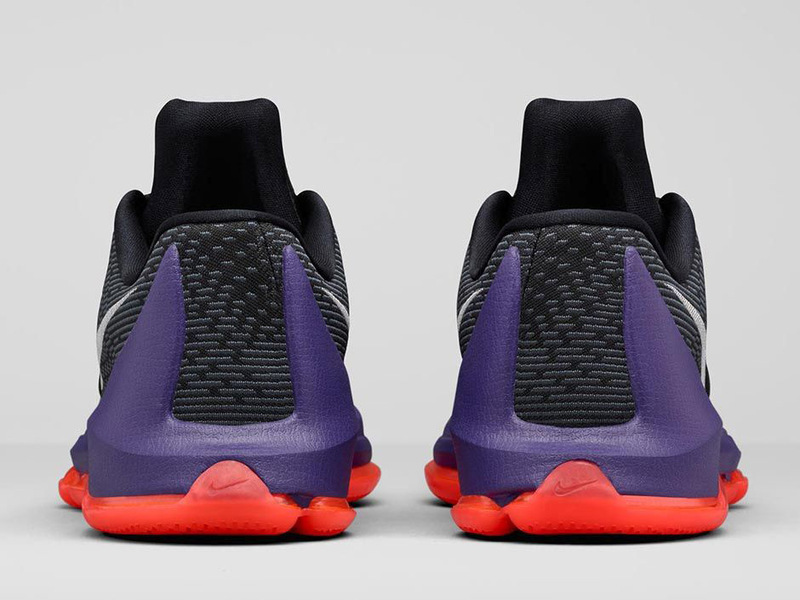 The KD 8 is equipped with a black/green Flyweave upper, purple midsole, and a red translucent articulated Zoom Air unit and outsole. 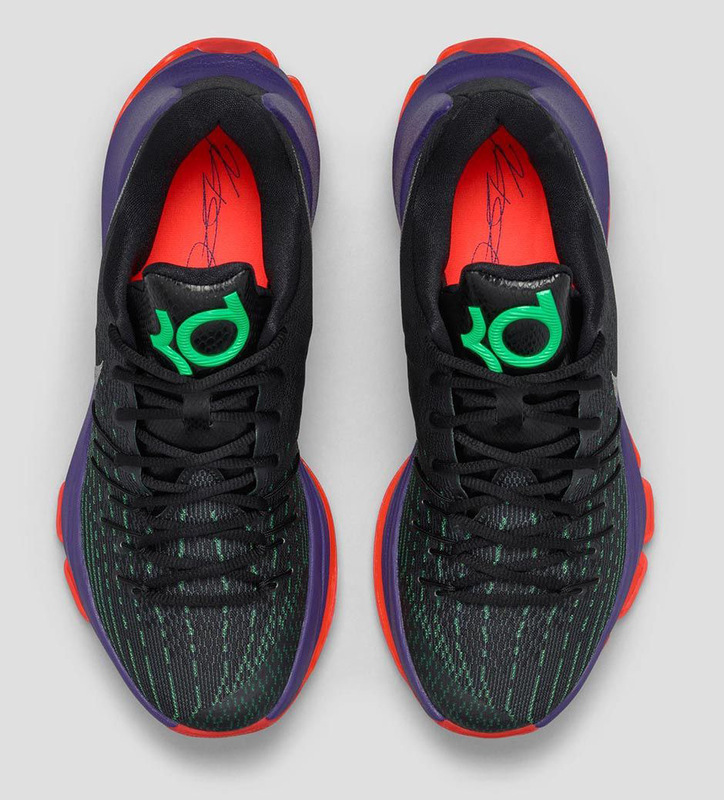 Green also hits the KD logo on the tongue, and like the previous KD 8s, a red insole is used with Durant’s signature on top of the heel portion. Look for these to drop October 1 for $180 at Nike Basketball retailers. 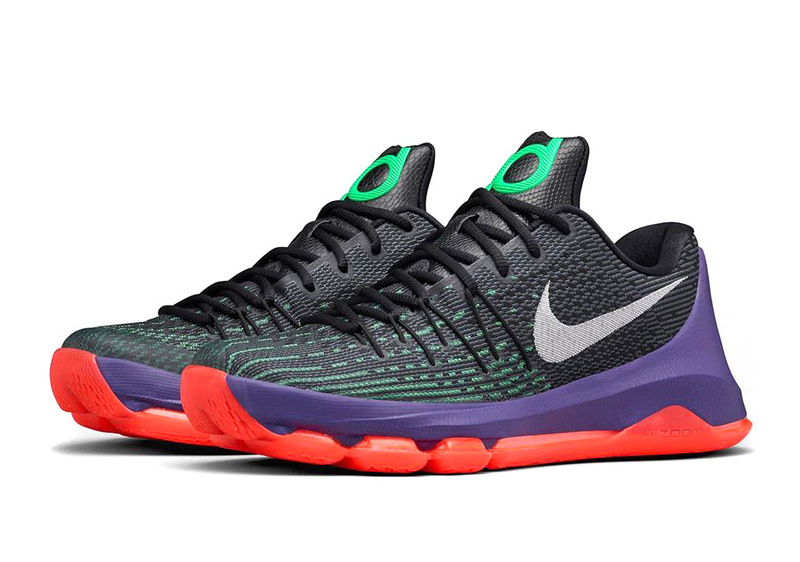 If you’re excited for this pair to drop, let us know in the comments below, or if you have already played in a pair, let us know what you think of the KD 8 as well. 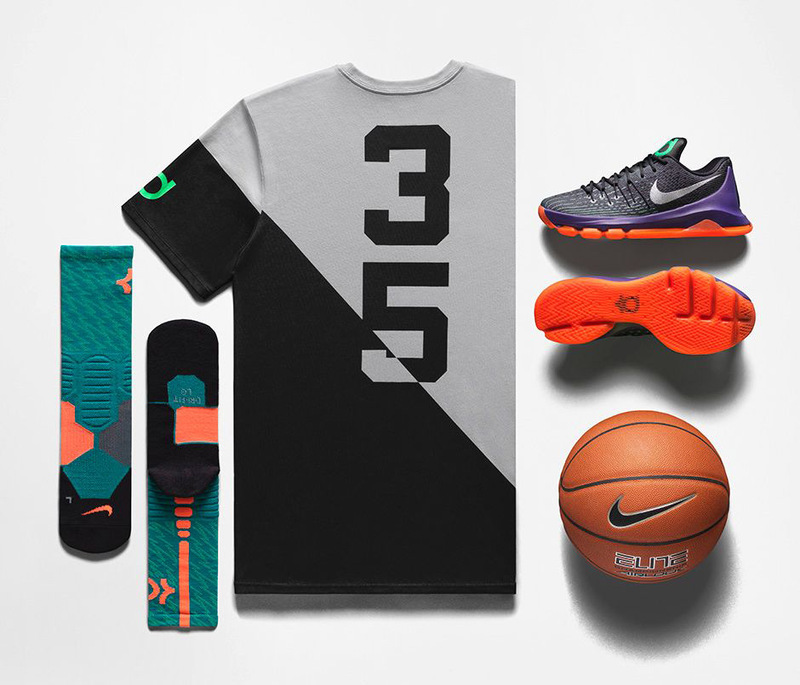 If you are interested in the performance review for the KD 8, check my review out here. Same observation here. Should be called: “What The F*ck Nike”. They probably have surplus of materials and decided to mash them together. 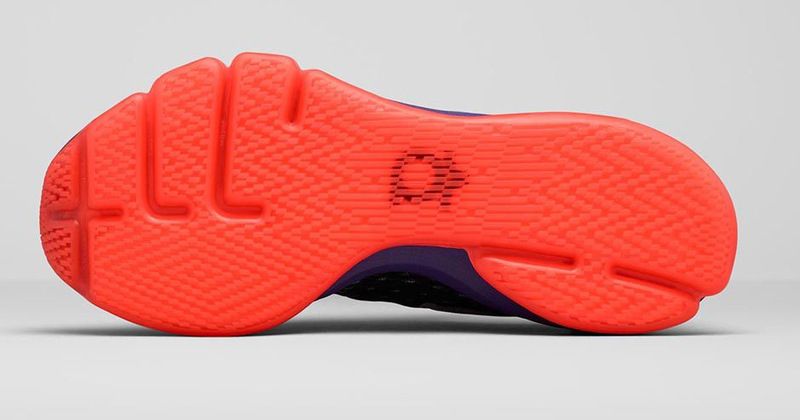 Ugly on a shoe i hear nobody talking about because its not practical for most basketball players! A glorified running shoe.